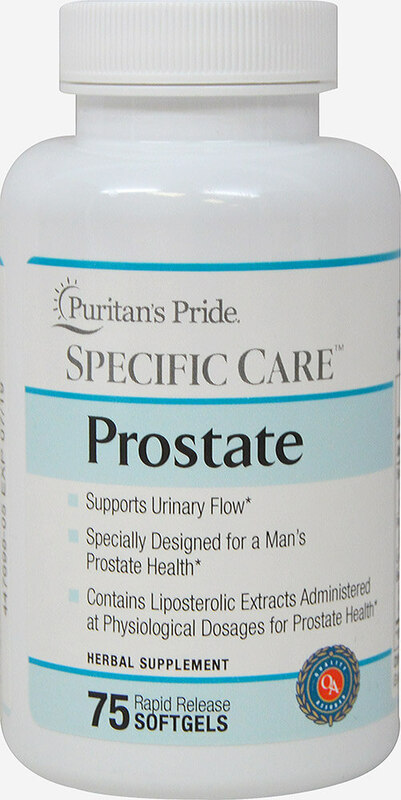 Puritan's Pride Specific Care™ Prostate was developed to help men find support for their most personal assets. Recent research shows that millions of men are searching for natural ways to help support a healthy prostate. This Specific Care formula helps address this need. Delivering 80 mg of standardized Saw Palmetto plus Pumpkin Seed Oil, Lycopene and Uva-Ursi, Puritan's Pride Specific Care™ Prostate helps support prostate health. ** These herbal ingredients have been carefully selected for their contributions to men's health and wellness and formulated with consideration to maximize the potential of each herb. Why is prostate and urinary health so important for men? The prostate gland is part of the male reproductive system and contributes to reproductive and urinary health. Your prostate can affect the flow of urine. It's important to care for this gland and overall health as we age. This formula intends to maximize the benefits of the herbal ingredients to help you maintain your healthy prostate.